An excellent event took place on the 13th floor of the offices of The Times on the evening of 13th September 2011. It was part of The Times’s campaign for Sakineh Mohammadi-Ashtiani, the Iranian woman whose sentence of death by stoning for adultery was suspended and who is still in prison and under threat of death by hanging. The campaign encompasses not just Sakineh but all who are victims of Iran’s terrible human rights record and judicial corruption. The Times account is at this link: there is a cost of £1 to view. More photos can be seen for free at the Foreign Office site. 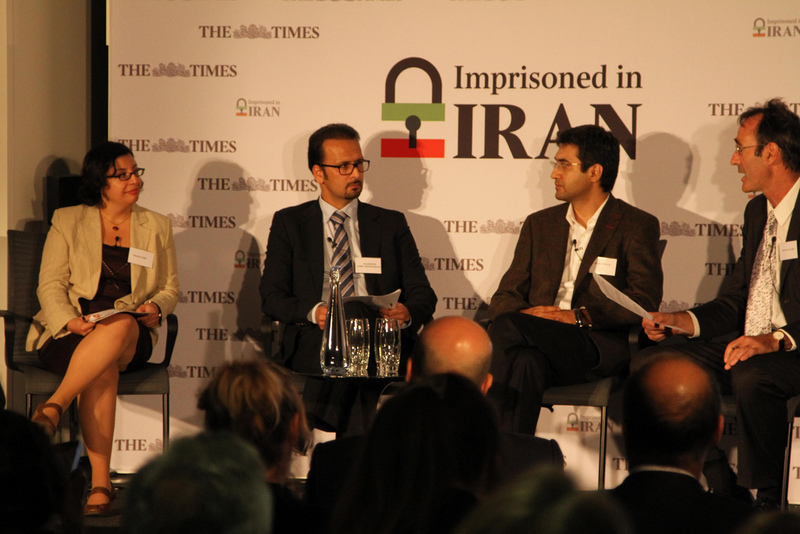 In the second panel discussion during the “Imprisoned in Iran” event, Martin Fletcher of the Times newspaper, Iranian human rights activist and lawyer, Shadi Sadr, Arash Hejazi, and Mahmood Amirimoghadam talked about the problems that human rights defenders are faced with in Iran. Outside the spotlight there were situations of additional interest. 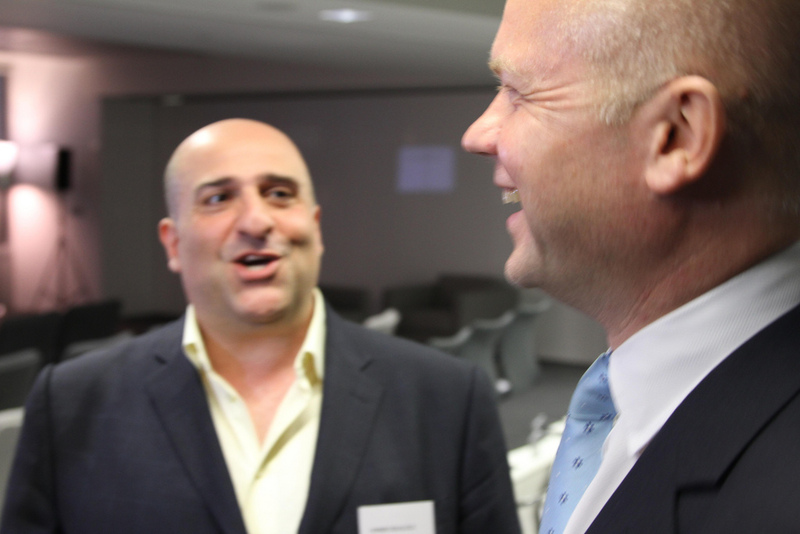 For example, there was a chance for Foreign Secretary William Hague to meet Iranian-born British comedian and actor Omid Djalili. I bet that doesn’t happen often.